even when i’m not in southern california, there’s still disney in my life. 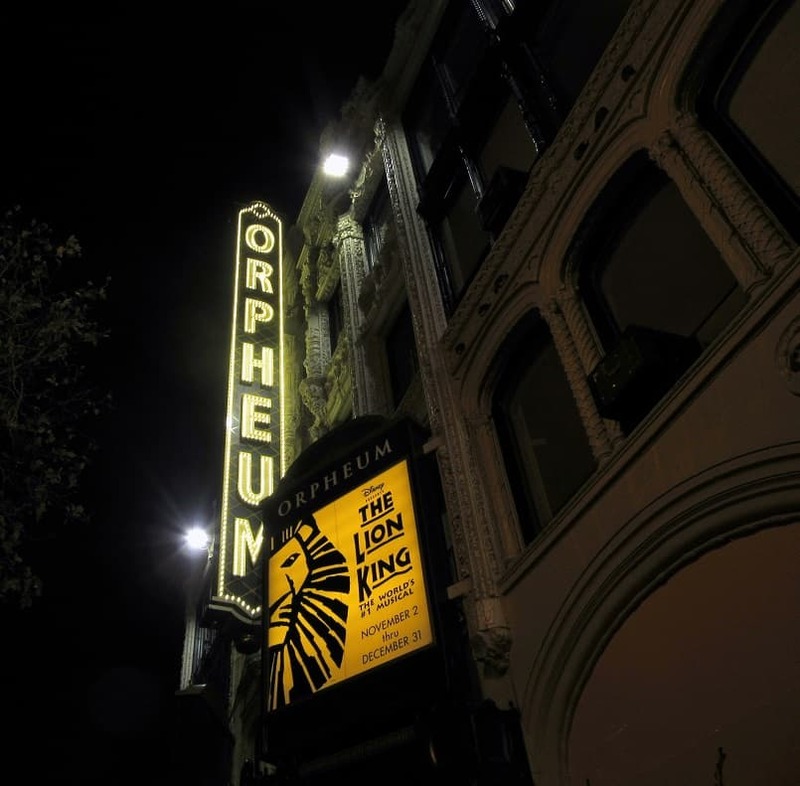 the lion king was playing at the orpheum in sf this past december, so naturally i rounded up some friends and made a day trip out of it. i’m not a huge the lion king fan: i’ve seen it once, and definitely skew towards more recent movies (big hero 6, tangled, zootopia, moana, etc), save for mulan. BUT, rush tickets were only $40, which was definitely manageable. we started our trip at bart grocery in daly city. i got kimchi fried rice ($7) topped with a fried egg. 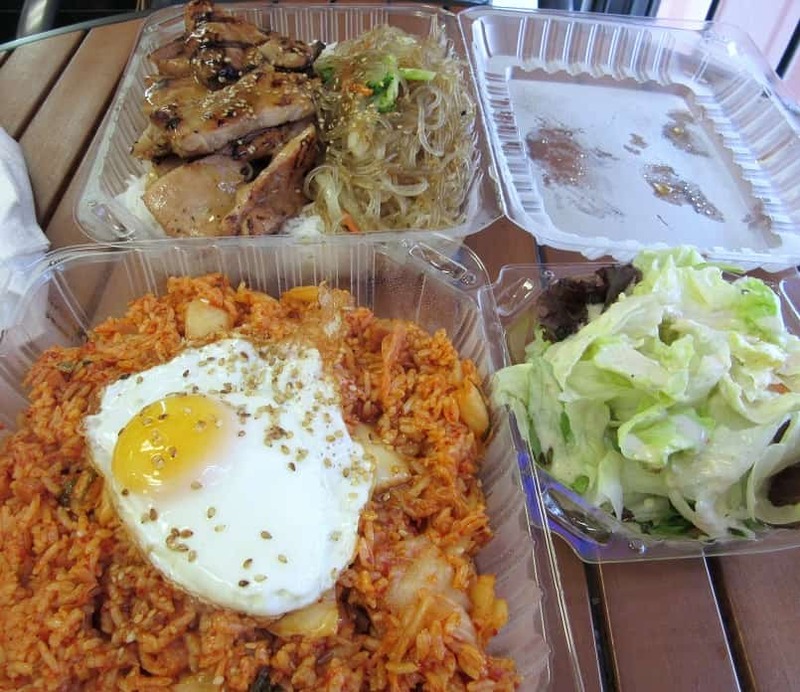 it had a ton of kimchi, which i loved, but i wished that it was more than rice, kimchi and a few cubes of spam. my friend got a marinated chicken plate ($9). the chicken tasted like teriyaki chicken, and the lack of complexity compared other korean marinades, as well as the lack of smoke and char i associate with korean bbq, was notable. the japchae was fine but didn’t live up to my japchae dreams either. not my favorite korean place, but then again, i feel like the oc overall does better korean than the bay (the bay slays chinese and indian though). and even though we were pretty full, we managed to make room for boba guys. it took us at least 45 minutes between driving from daly city to hayes valley and parking (there was no parking…..), so we digested a little. maybe. my friend got a jasmine milk tea ($4.25) which had a moderate tea flavor and a good level of sugar. overall solid milk tea but nothing special about it. i got a strawberry matcha latte ($4.75), which was delicious. the matcha was strong, and held its own against the sweet strawberry (which i’m glad to say tasted like the fruit rather than say, strawberry milk or some other form of fake strawberry). and the whole milk made it super creamy and mellowed everything out oh so nicely. solid place to get milk tea and such, but the parking here (and at their outpost in the mission) can be a bear. and then we rushed to the orpheum to get in line to buy tickets, and again, getting there was a pain. rush hour (and accidentally getting on the freeway during rush hour) and one way streets are sososo fun. we only paid $3 (only had to pay for an hour since the meter was free after that) for parking though, so perhaps the parking gods were feeling like we got punished enough. anyways rush tickets: basically you can buy tickets a couple hours ahead of the show for cheap. it’s not guaranteed though, and i’d say half of the people who got in line after my friend (she got in line two hours before ticket sales, and we joined her halfway through) didn’t get any. the tickets were single seats, and we had to wait, but considering we got orchestra seats for $40, it was worth it for these college students. we had some time to kill before the show, so we oohed and ahhed at the union square lights and decorations, and got some expensive and not that special sushi before heading back to the theater. i didn’t love the lion king; the costumes were cool, but the songs and voices and plot didn’t amaze me. and when scar became king, i thought briefly of america’s leadership change impending doom (remember the days when we didn’t think about politics 24/7? ), and when they sang “hakuna matata,” i thought about my dropping gpa. wheeee. also: i need to see mama mia asap. there’s a farewell tour going on and i’m irrationally worried that it’s a farewell forever we’re never performing mama mia again type of thing. even though it’s probably not, and i’d happily be one of the chumps shelling out cash and driving to the middle of nowhere to see it (but alas, i have plans for that weekend). so, hamilton this summer?! (i’ll be entering the lottery). and after the show, we went to mcdonald’s on junipero serra in daly city (the specificity is meant to warn you away from this location) for refreshments to make sure we would stay awake for the drive home. but OH THE FRIES. saddest mcdonald’s fries ever. they were lukewarm, not salted, and there was no ketchup. was not tempted by them whatsoever. i was lamenting this (very loudly lol) while i was driving on the freeway, and might have had to tweet about it because i was so incensed. also: scream singing “do you hear the people sing?” in the car is the best. i personally like more veggies in my fried rice, so i think making it at home rather than ordering it out lets me better customize to my wants. it was still tasty, and i loved how much kimchi there was! boba is the best :3 and i loved how fresh that strawberry matcha latte was! My bestie went to see The Lion King in SF for her birthday, and she said it was incredible, and kimchi fried rice sounds pretty darn. glad she liked it so much! i’m convinced that kimchi fried rice is the best fried rice variation (besides perhaps fried rice with hom yu, which is a super flavorful chinese dried fish). So even though you didn’t really think that chicken looked all that good, I think it looks bomb and I would have downed it in 5 seconds – ha ha! I am a sucker for chicken! 😉 And now you’ve got me wanting to watch Wreck It Ralph and Zootopia! Oh it would be so stinkin’ amazing if they were on TV tonight! the chicken was tasty! it just wasn’t quite what i was expecting. i was so surprised at how much i liked zootopia, since i’m not a huge fan of talking animal movies, but the message and incredible animation and everything was amazing. Sounded like quite the day! 🙂 haha I seen mama mia! I highly recommend it if you like abba. I was deaf by the time it was done, but that’s only because I was sitting right next to the speaker -_- haha! my choir in high school did mamma mia and it was so fun to sing. i appreciate musicals and concerts so much more when i know the songs really well (and like them, obviously), so that’s why mamma mia is next on my list! oh that’s kind of annoying 😕 hope you were still able to enjoy it though! oh my. i would be first in line to see that musical!! i know that disney is casting for a live action mulan movie right now, but i’m feeling a little meh about it (and the other live action adaptions in general). i found cinderella to be visually wonderful, but didn’t love the actors or plot (i’d much rather see something original than a rehash). hope you get to soon! i think they’re done in sf, but i’m sure they’re touring around. and it should actually be easy/cheap-ish to get tickets unlike for other shows (COUGHHAMILTONCOUGH). 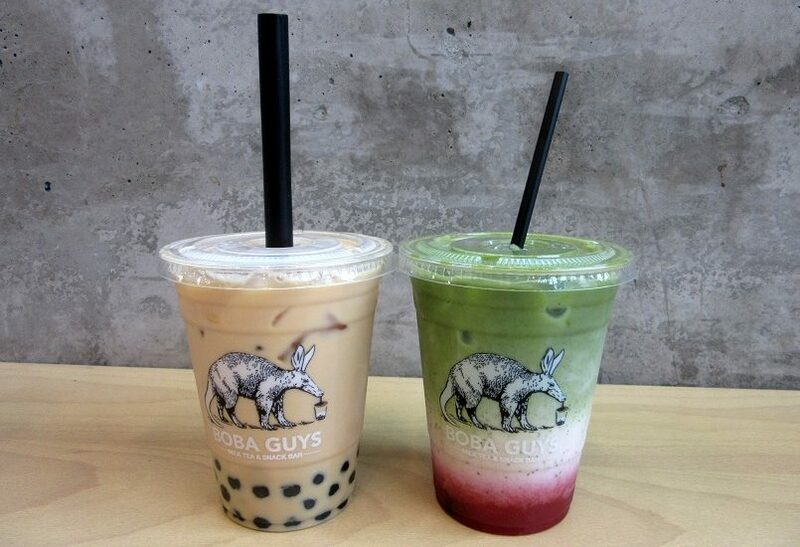 2 hrs for boba?! that’s crazy! you can make it at home with super strong tea, and i bet you can find the tapioca pearls at any asian market you have nearby (or amazon/the like). SAMESAMESAME about the live actions. “have courage and be kind”???? i thought cinderella looked amazing as a whole but didn’t love the rest of it. i think mrs. pots and chip look a little creepy, but i’m cautiously optimistic bc emma watson and belle > cinderella. This all looks so fun! Love the pictures! Love your post! You mention all of my favorite things: boba, kimchi rice, Molly Wizenburg, Flour Bakery, carbonara, and musical theater! I love SF, too! these are a few of my favorite things 🎶 thanks laura! More japchae need to live up to our japchae dreams! i had no idea they even sold pineapple tarts (maybe because i wasn’t looking and was too fixated on drinks)! too early?! i wish i had that problem; i tried to get a beauty and the beast themed cake last weekend, and was at least 8 hours too late, oops. I know this sounds ridiculous because I’m a grown woman, but I’m sooooo keen to go and see the Lion King live. So jealous you went. I know you didn’t like it but I’m not deterred ;). Thanks for sharing your experience and for your honesty. i hope you get the chance to!! they tour so much that i’m sure you’ll get the chance soon (: i didn’t not like it per se, i just didn’t get as absorbed by it as i wished i had. i’m sure you’d like it a lot more than i did, simply because you’re more invested in the plot/songs/everything overall (i’m much more of a mulan/hercules/tangled/moana girl).